Feb. 3, 2011—Every year we ask for your favorite pictures of your dogs, cats and other assorted beasts. This year we had more than 1,000 pictures, so the selecting was very hard. Vote online for your favorites in the Dog, Cat, and Friends categories, and also see a lot more photos of pets that we didn’t have room for in the print edition. Feb. 2, 2011—These pets aren’t on the ballot, but there are some great-looking dogs, cats, and other friends here, submitted by Vanderbilt staff and faculty. This is an exhibition, not a competition, so please…enjoy. Feb. 1, 2011—For those of you for whom it’s not enough to see still photographs of Pets of Vanderbilt, several people also submitted links to YouTube videos of pets. Jan. 26, 2011—Kerrie Upchurch, who got a kidney transplant in her mid-20s, was more upset about the idea that she might not be able to become a mother than she was about the transplant. But, VUMC’s Heidi Schaefer, M.D., says, people who have had transplants can still become mothers. For proof, meet Kerrie Upchurch’s son, Gavin. Jan. 26, 2011—Are you a poet or writer walking around disguised as a regular person? 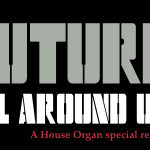 Enter the House Organ Writing Contest and come one day next summer you can be forwarding the link to your story or poem around to all your envious friends.